"Dry skin lacks lipids and dehydrated skin lacks water". However this shortcut is a little reductive. Because all skin needs both water and lipids, because without water no hydration but no lipid, no hydration either! It is better then to consider that the dry skin is a type of skin, a permanent characteristic, like the complexion of the complexion or the type of hair. While dehydrated skin is a punctual condition related to environmental factors or inadequate care. Thus one can quite have oily skin and ... dehydrated. That is why it is very important to choose care adapted to its type of skin AND its punctual state. A punctually dehydrated oily skin that turns to too rich care will shine, and may develop imperfections and blackheads. 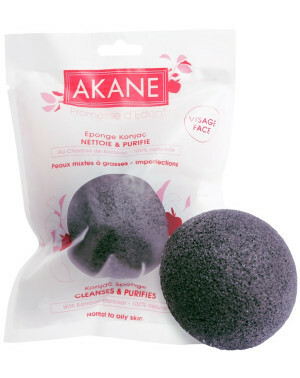 Akane offers a cosmetic product made from natural ingredients and / or certified organic. Unlike materials derived from petrochemistry, natural ingredients have the advantage of being active, and to bring every day all the elements your skin needs to function better (essential fatty acids, nutrients, vitamins). Discover the Akane skincare routine adapted to your skin type, and switch to a healthy, active and natural cosmetic! The key to a beautiful skin is a good make-up removal. Adopt the triple make-up removal, the first 3 stages of layering, ancestral beauty secret of the Japanese, for a more beautiful skin day after day, to discover here. Excess localized sebum, dehydrated areas, mixed skin requires a specific care, which provides hydration without lipids, at the risk of seeing imperfections develop. 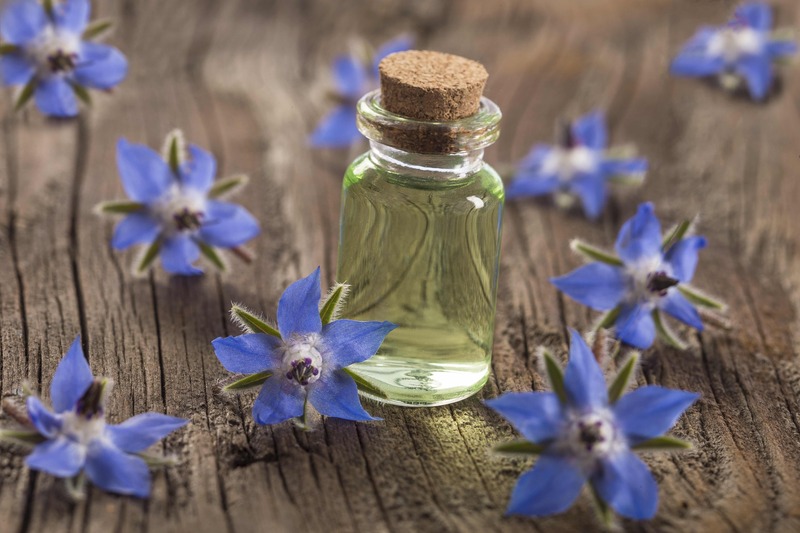 The use of natural care is particularly relevant because they will act in affinity with the skin without stifling it. Step 1: Moisten the sponge Konjac black enriched with bamboo charcoal, and apply on the sponge a dab of fresh jelly cleanser. Enriched with pure organic Aloe Vera juice, formulated without SLS or ALS, it cleans the face perfectly and leaves the skin soft and supple. Massage to lather. Rinse with clear water. Dry the face. Step 2: Then spray the flower and fruit water on the face to remove the calcareous residues and reveal the radiance of the complexion. Step 4: Then apply moisturizing infusion jelly. Enriched with pure Aloe Vera BIO juice - learn more about the exceptional properties of Aloe Vera here (94%), vegetable betaine and Oléoactif® Akane, it perfectly hydrates the skin without greasing it. His secret? A unique jelly texture, melting, moisturizing cream and the lightness of water. 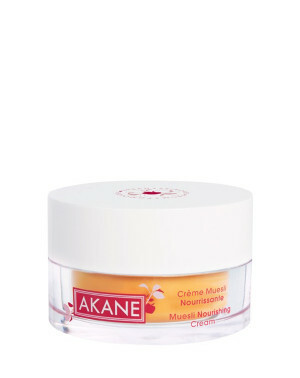 Step 1: If you wear makeup, even slightly, use the cleansing oil Akane cleansing. Apply directly to the fingers 2 hazelnuts cleansing oil on dry face, massage with fingertips to dissolve the makeup. Then rinse with warm water. Step 4: For added comfort, you can alternate moisturizing infusion jelly with moisturizing melting cream. Enriched with hyaluronic acid of vegetable origin, sweet almond oil, it hydrates, repulpates and leaves the skin soft and velvety. 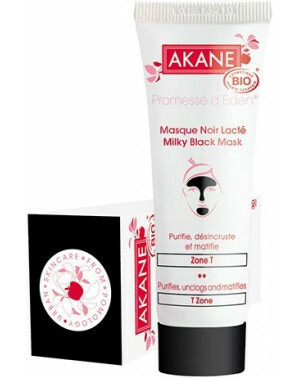 Apply the milky black mask on mixed zones in duo with the white mask blown on the sensitive & dehydrated areas. Enriched with vegetable charcoal powder, olive kernel powder, the milky black mask purifies and unclogs areas prone to blackheads, imperfections and excess sebum. The white puffed mask is enriched with organic rice powder and vegetable betaine to moisturize and soothe sensitive areas. Discover our new skincare ritual, Bed & Breakfast Care Oil and Nourishing Muesli Cream. This duo is made from 100% natural ingredients, rigorously selected to nourish and care for dry skin. Organic oat bran oil, organic cocoa butter, organic cranberry extract, organic coconut oil, healthy and edible ingredients, a real full breakfast for the skin! 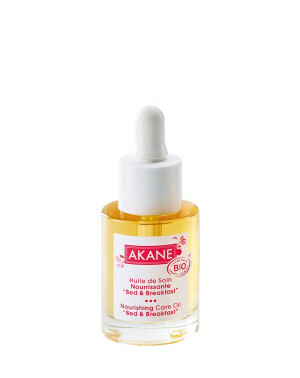 To facilitate the penetration of the care oil, spray the Akane Fruit Flower Water on perfectly cleansed skin. Using the pipette, apply on the back of the hand 3 or 4 drops of care oil (about 1/3 of the pipette). Then warm the oil between the hands and apply on the entire face by performing a light massage. Take 3 small hazelnuts cream, apply on the entire face gently touching the skin. Close your eyes, let yourself be seduced by its light 100% natural scent with fruit accords and cereal notes. Go directly to Step 2 unless your skin is very dry or in very dry and / or cold weather. Apply the nocturnal cocoon mask before bedtime on perfectly cleansed skin. He replaces the Muesli cream and the Bed & Breakfast Care Oil. 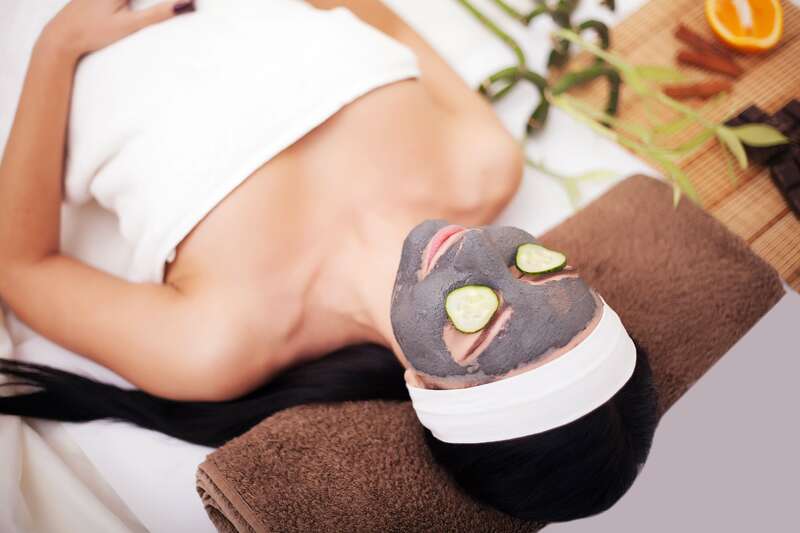 Take 2 hazelnuts from the night cocoon mask, apply on the face, massage until complete penetration. In the morning rinse with clear water. Enriched with 100% natural hyaluronic acid and a black tea extract, it rehydrates, plumps and leaves the complexion fresh and radiant. Offer a full breakfast to your skin! This ultra comfortable cream is for dry skin. It nourishes, protects and repairs the skin on a daily basis. 100% natural origin recipe. 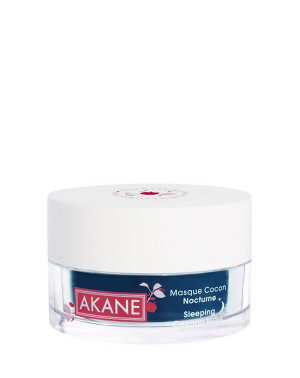 This night mask is inspired by the Korean skincare routine acts as a protective cocoon. Its natural formula intensely moisturizes the most thirsty skins and gives them back their radiance. When you wake up, the skin is plumpy, the marks of fatigue are soaring. Paraben free, PEG free, silicone free, mineral oil free, phenoxyethanol free.